Celebrity Gossip and Entertainment News: Iggy Azalea Expecting a Baby? Iggy Azalea Expecting a Baby? Rapper Iggy Azalea rumored to be expecting her first child with fiancée Nick Young. 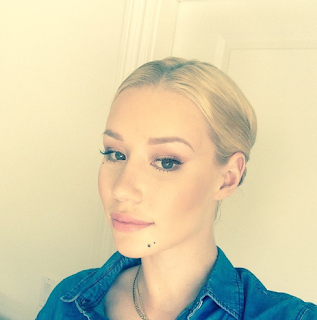 Does Iggy Azalea have a bun in the oven?! According to a new report, the 25-year-old, who's engaged to basketball player Nick Young, is pregnant with her first child! “Nick made it very clear that if he and Iggy were going to marry, he wanted her to scale back on work,” a source tells OK! Magazine of the rapper, who shocked fans earlier this month by canceling her first major tour. The 30-year-old athlete popped the question just one week ago, and his bride-to-be couldn't help but show off her GIGANTIC ring on Instagram. "Happiest Day #Isaidyes ," she captioned a pic of the bling. “Nick wants a traditional wife, who lives to cook and be home to attend to the family’s needs,” the source adds of Iggy's decision to pump the brakes on her career. And while it may seem extreme to make Iggy pick either work or motherhood, it was allegedly a no-brainer for the "Fancy" singer.